## age2        -0.00043512  0.00024311  -1.7898  0.07348 . # 3. 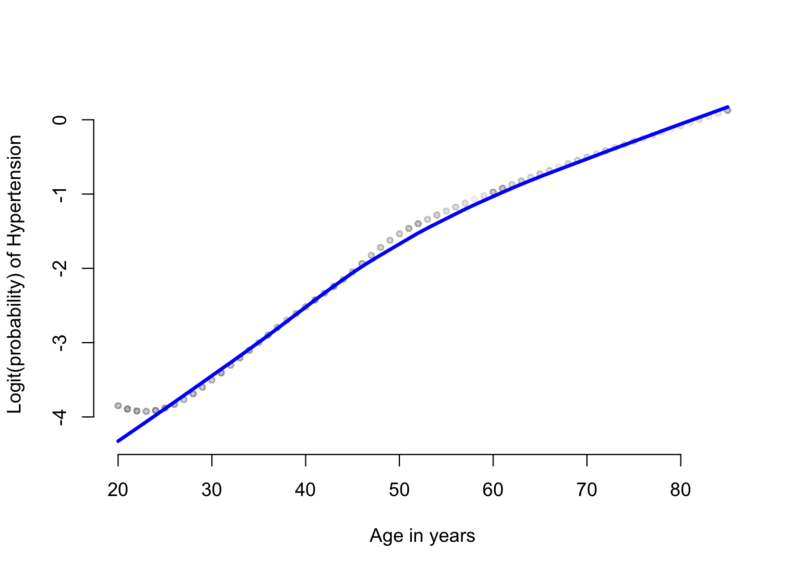 Include age into the logistic regression in the way suggested by the lowess plot. #    do your results support your findings from the previous graph? #    previous part is correct. 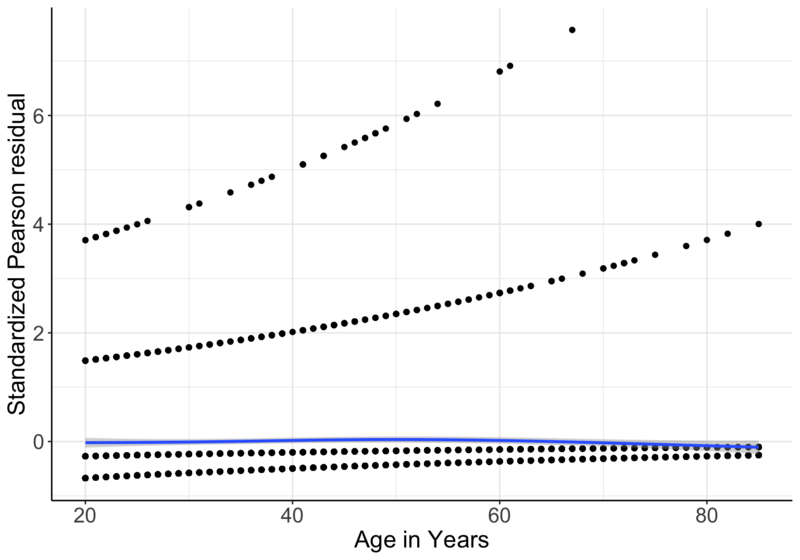 圖 52.4: Standardized Pearson residuals (by covariate pattern) vs. age. Logistic mdoel with linear and quadratic age as covariates. #    assess if you have included BMI using the most appropriate functional form. 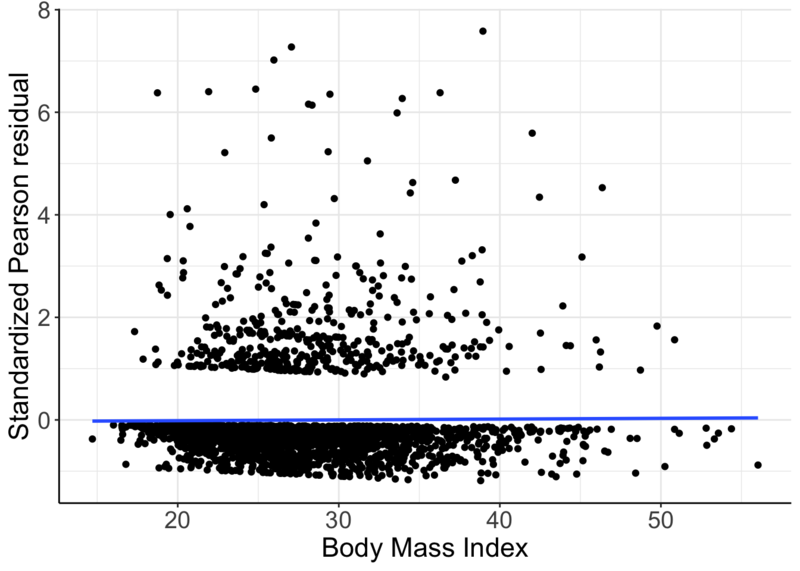 圖 52.5: Standardized Pearson residuals vs. BMI. 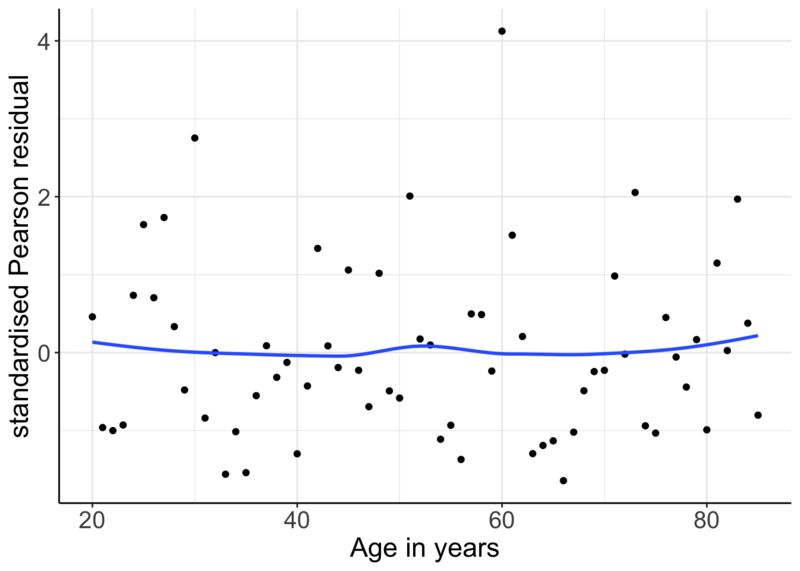 Logistic mdoel with just linear and quadratic age as covariates. 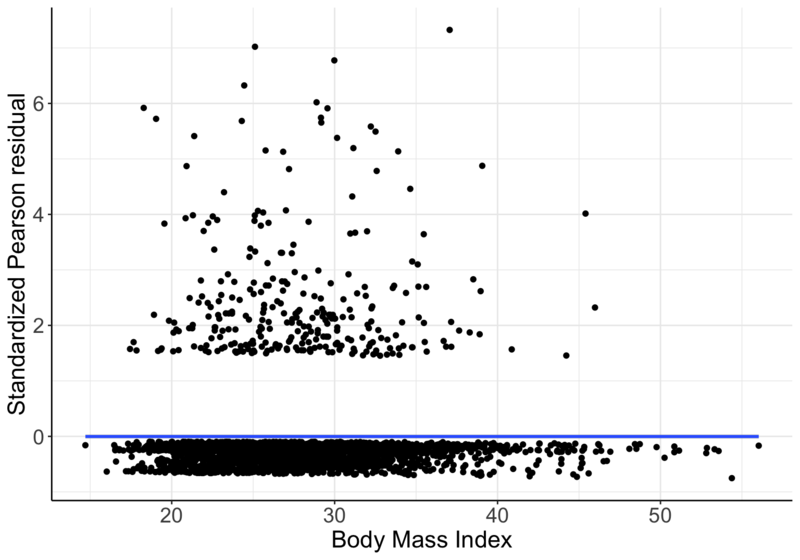 圖 52.6: Standardized Pearson residuals vs. BMI. 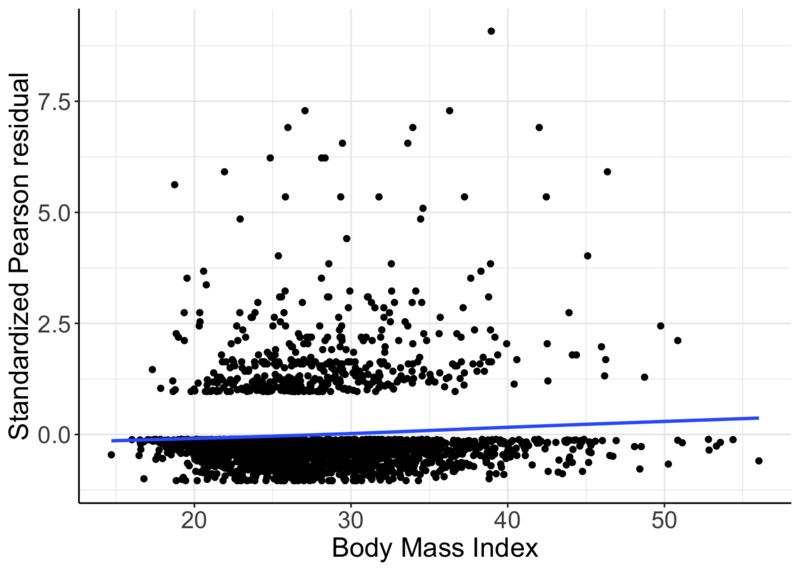 Logistic mdoel with linear and quadratic age and BMI as covariates. #    already interact with gender with their effects on hypertension. ## GenderFemale  0.21213190  0.11703954   1.8125  0.069912 . ## 2   5 -938.516  1 3.28378   0.069967 . # some evidence of an effect of gender. # from both wald test and likelihood ratio test. #    for men and women, and plot the resulting values.